Astronomers have just observed what seems to be the brightest nova ever seen in one of our closest neighbor galaxies, the Small Magellanic Cloud. Novae are major astronomical events which mostly happen when dying stars intensely erupt back into life for a few weeks or months. This discovery is being considered as one of the most major discoveries of 2017. When astronomers first observed these events in the 16th century, they mistook them for the new stars, hence the Latin name – nova. Novae are fuelled by the interaction between old white dwarf and Sun-like companion stars. Material is transferred from the companion to the white dwarf star, gradually accumulating until it reaches a critical pressure, causing a sudden and huge increase in brightness. An international team of astronomers used telescopes in South Africa, Australia and South America to reveal that the nova SMCN 2016-10a, which was spotted on 14 October 2016, is one of the most luminous novae ever seen in any galaxy. The observations made were also some of the most detailed taken to date of a nova. The newly discovered, very bright nova, named SMCN 2016-10a, is located toward the Small Magellanic Cloud (SMC), a small galaxy near the Milky Way, at a distance of around 200,000 light years away from Earth. "Swift's ability to respond rapidly, together with its daily-planned schedule, makes it ideal for the follow-up of transients, including novae," said Dr Kim Page, a member of the Swift team at the University of Leicester. "It was able to observe the nova throughout its eruption, starting to collect very useful X-ray and UV data within a day of the outburst first being reported. 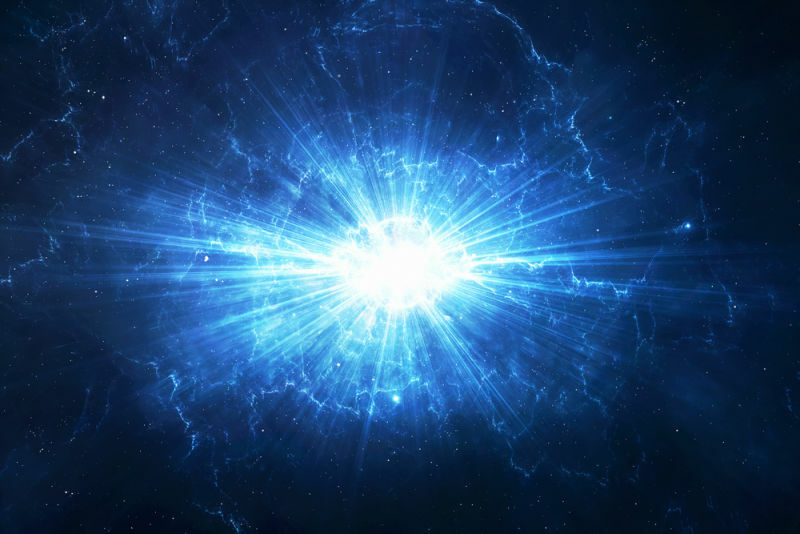 The X-ray data were essential in showing that the mass of the white dwarf is close to the theoretical maximum; continued accretion might cause it eventually to be totally destroyed in a supernova explosion." Dr Paul Kuin, from the Mullard Space Science Laboratory, University College London, who organised the UV data added: "The present observations provide the kind of coverage in time and spectral colour that is needed to make progress for gaining understanding of a nova in a neighbouring galaxy. Observing the nova in different wavelengths using world-class telescopes such as Swift and the Southern African Large Telescope help us reveal the condition of matter in nova ejecta as if it were nearby." The Small Magellanic Cloud is a dwarf galaxy, 200,000 light-years away from the Milky Way with a total mass of approximately 7 billion suns. It is one of the most distant objects that can be seen with the naked eye.